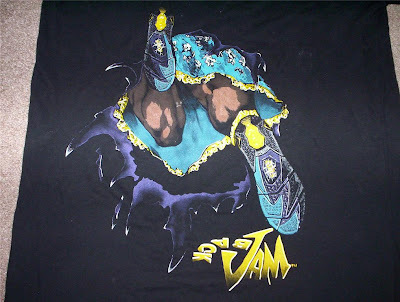 The Converse Blog: The Converse Blog's Friday Flashback: Classic Grandmama Back Jam T-shirt. 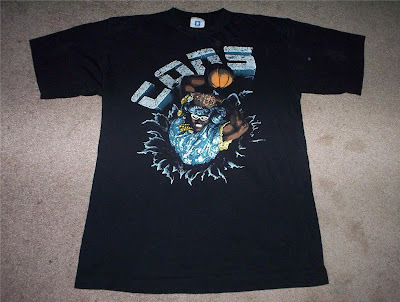 The Converse Blog's Friday Flashback: Classic Grandmama Back Jam T-shirt. Well I made it through day one of US History, now if I can just make it through the rest of time haha. In one of the classes we're deep into the progressive era and the other two AP History classes we're just at the Jefferson presidency. With that in mind today's flashback features someone who was progressive for his position and wore a wig for Converse...see what I did there. 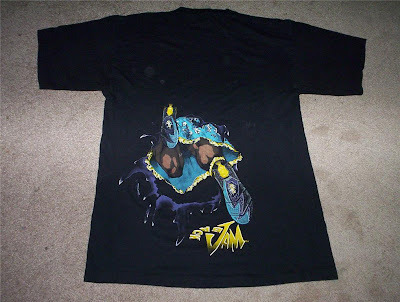 I found this stinkin' prime Grandmama shirt on ebay the other day. It is was made to promote the CONS Back Jam's. 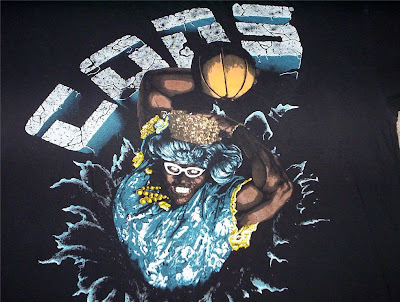 I always loved when she would hold down her hat when going in for that monster jam. That will be it for today, I am still trying to get the hang of this new schedule I am trying to keep. Thanks for your continued support and feedback here at THE Converse Blog. I'll keep my eyes open. 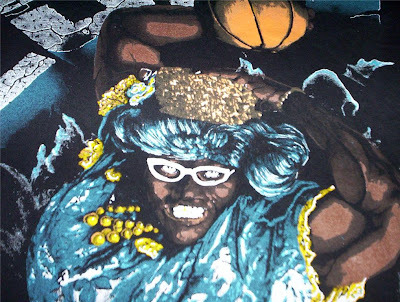 I would love to see Converse bring back Grandmama, but who knows if they ever will.